Why should you use a sport or tuning Vario? 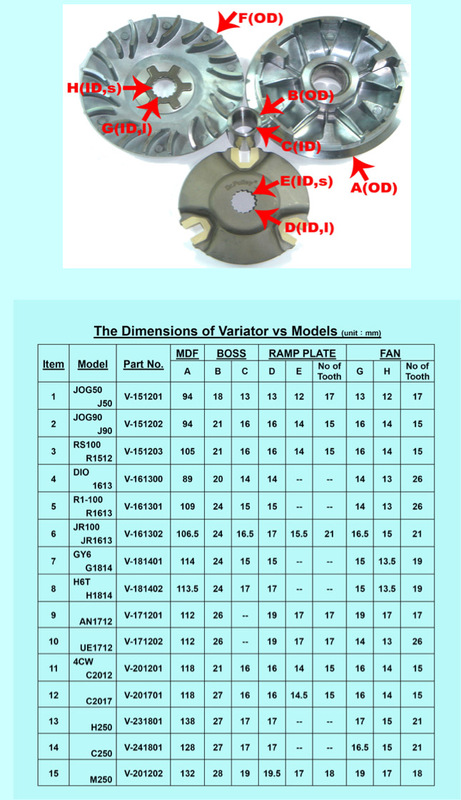 Even with the original Vario and the use of Dr.Pulley SR slide rollers and SP sliding pieces you get a tremendous performance improvement, approaching close to the values ​​of the special and more expensive tuning vario . It makes sense to replace the original with a sport or tuning Vario, if it needs to be replaced anyway, for example. Whether it is because the discs have scratches or the ramps are worn (the "tracks" of the rolls). If the boss shows signs of rust or scratches, replacement of the vario is announced. But there are reasons to replace an original new Vario: For example, the original vario design with the guide pins on the cam plate of Kymco Downtown 125i is not solved very well. 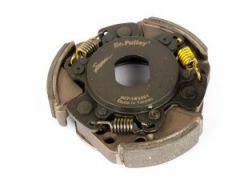 This is the reason for problems with uneven or jerky acceleration. The Dr.Pulley Varios are made much better than originals Varios. The edges and ramps are better smoothed, the overall weight is reduced. The ramps have a slightly different shape and are extended by about 1mm, which provides for a better acceleration curve and increases the Vmax a little bit. 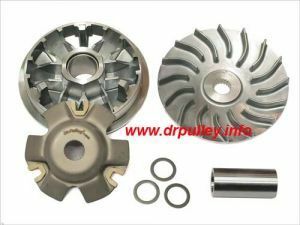 Unlike other manufacturers Dr.Pulley tuning Varios used in generally the same roller size as used in the original. Therefore, no new purchase of rollers is necessary. 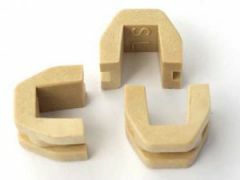 Dr.Pulley quality sliding pieces are included with the system. Roll container disc, counter-pressure plate, disc ventilation, some models with some thin washer rings to adjust belt rising height, SP sliders, boss. 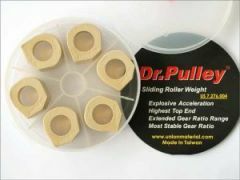 Recommended for best results: Dr.Pulley Sliding rolls 12gr. (heavy drivers 11,5gr. ), no washer ring fitted.